Eastern Canada may have mineral springs but Western Canada is where it’s at when it comes to hot springs. Since my twenties, we’ve tried springs in the Kootenays, British Columbia, in nearby Banff, Alberta and even springs on the Pacific Ocean off of Vancouver Island. My all-time favourite is the Lussier Hot Springs. This all-natural variety is up a logging road outside of Canal Flats, a small mill town on the south end of Columbia Lake in the Kootenays. Damn if I couldn’t find the springs to show Glenn on our last trip out there. Still, they’re burned in my memory because they were so great. Didn’t know their true name though before writing this post and I learned that they’re part of an actual British Columbia provincial park called Whiteswan Lake. In my twenties, I worked at nearby Fairmont Hot Springs, a four-season, family resort that has natural springs and a massive hot springs pool. A bunch of us who worked at Fairmont would often pile into my buddy Andy’s old Volkswagon Fastback and head for Lussier. The thing was a tank with an engine in the back that gave us good traction up the logging road. I remember locals telling us to avoid the place in spring because of bears coming out of hibernation. I have no idea if this is true, but park authorities could tell you. In my day there were two pools. One was enclosed in a tiny, wood building and SO HOT that I could only stand it for maybe thirty seconds. The other was down a little path towards a fast moving river. It was much larger and easier to sit in for longer periods of time. The gang hung out there on many a night. Fairmont Hot Springs has its charms. To this day it is the only place I’ve ever been where I skied, swam and played golf on the same day. The resort’s massive hot springs pool has change areas with lockers for daytrippers. You can sit in the pool and admire the spectacular Rocky Mountain range rising directly behind the resort. We also spotted lots of little springs bubbling up to the earth’s surface on the ski hill when we walked it in the off-season. We also checked an abandoned bathhouse on the property that I figure must date back to about the 20s and which still has its old marble tubs. You pass Radium Hot Springs on your way from Banff to Fairmont Hot Springs and British Columbia’s Columbia Valley. It is on a cool section of Kootenay Highway as you come down from the mountains into the Columbia Valley. Very picturesque. The Village of Radium seemed pretty sleepy. 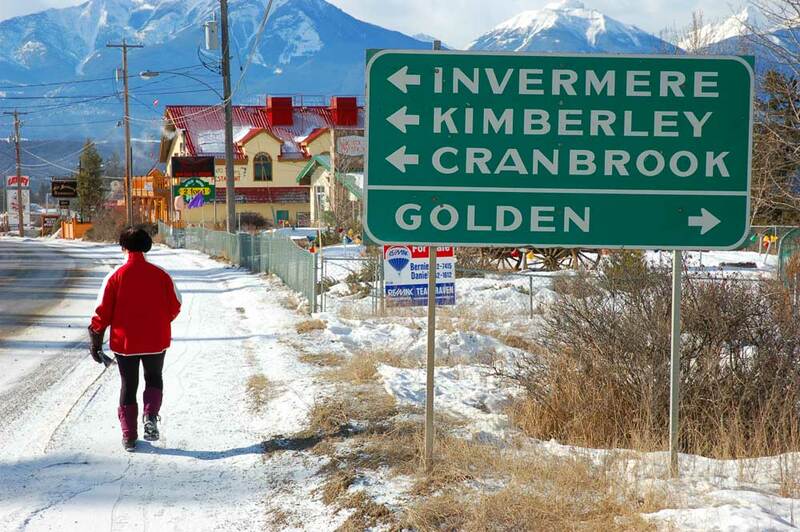 We saw more mountain sheep than people around it but the livelier town of Invermere is minutes away and the Panorama Ski Resort beyond it. Banff, Alberta is where you find Canada’s most famous hot springs. In 1882, a couple of railway workers stumbled on what would become known as Cave and Basin Springs. The workers’ discovery led to the creation of Banff National Park. 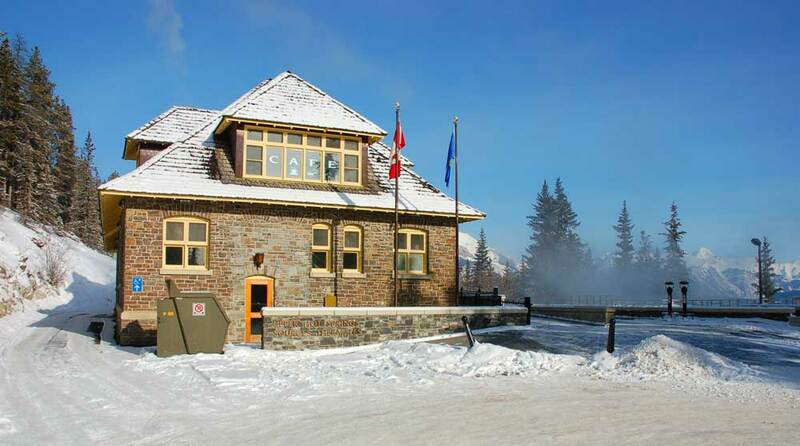 Today, the Cave and Basin Springs are a national historic site and you can’t bathe in them, but you can try the Banff Upper Hot Springs. The historic bathhouse here is still very much in use. It was built in the 1930s to rival the big spas in Europe. In the late 1990s Parks Canada refurbished the springs and by 2002, the Pleiades Massage & Spa was added. There are other hot springs in British Columbia that we’ve yet to explore. The provincial tourism office there has developed a Hot Springs Circle Route that you can now follow that includes maps and detailed springs information. More on Hot Springs Cove and the Tofino Hot Springs Map. 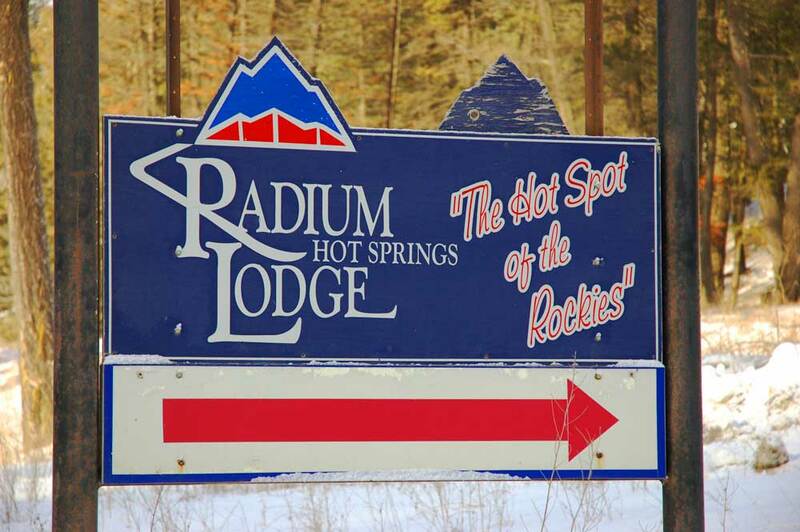 The Radium Hot Springs Lodge was closed in 2011, suffered a fire in October, 2013 and was demolished in January of 2014. I’m wondering at which hot spring the first photo was taken. Looks like Vancouver Island, but want to be sure as I will seek it out. What a paradise! !